Stupid as it sounds, the PF police say they are searching for guns, bombs and grenades at pastor Nevers Mumba’s house. 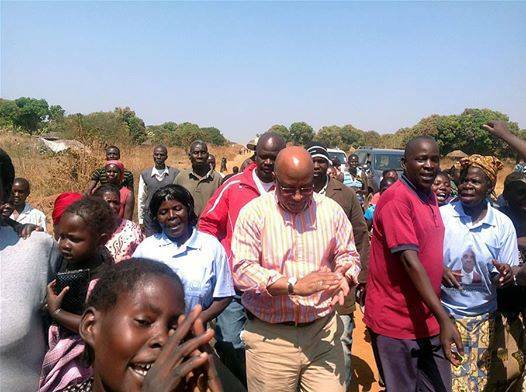 Meanwhile UPND leader Hakainde Hichilema and others have gone to Dr Mumba’s house to give him solidarity. One of the police officers searching Dr Mumba’s house told ZWD that the action at the pastor’s house is just testing how the UPND will react. After Nevers Mumba they will cook up charges against Geoffrey Mwamba and if the UPND does not react even then, the PF police will go for Hakainde Hichilema. The police officer revealed that the PF regime is very happy and encouraged that no one reacted to the closure of independent media so now its time to ‘shut up’ the opposition politicians. The police said even the officers undertaking the operation had to be given huge sums of money as they all know that the assignment is nonsensical.